Like us, you were probably stoked to see Clare Jones recently added to the Freestyle Skatestore Team. Freestyle is a rad store and Grim (top dog) was always supportive of what we were doing with Getbusy Store so it’s extra exciting to see Clare welcomed to the team and know she’s in great hands! 22 year old Clare is originally from Dorchester and is now based in Newport. She’s been skating on and off now for five years and is clearly killin’ it in South Wales. 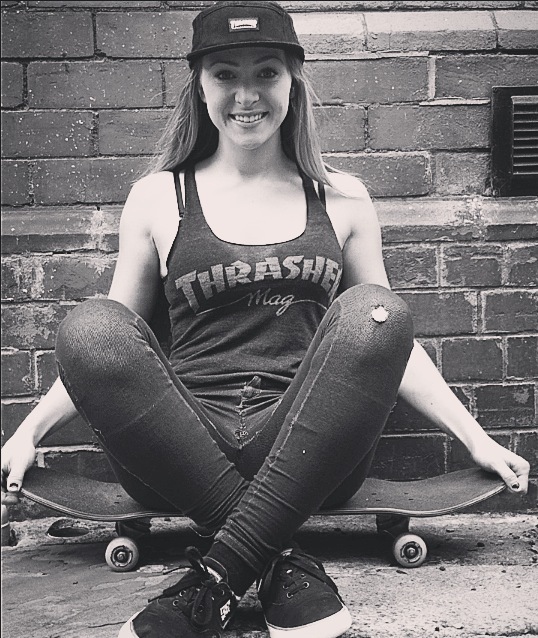 After the announcement of her joining the FSTL Team, we couldn’t wait to catch up with her for a chinwag..
How did you first get into skating? I guess I was part of the tony hawks pro skater game era so admittedly a combination of that and my big brother. Any rad summer plans coming up? I’m heading out to Malmo and Copenhagen for Ultrabowl in August which I’m really looking forward to and I’ll also be going to Newquay for boardmasters this summer. Nora Vasconcellos and Eliana Sosco have to be two of my favourites but all my friends who inspire me. ← Push The Prom Footage! can probably do kickturns and everything!